There are 15 reviews of Tam Dao Eau de Parfum. A woody scent in the spirit of Comme des Garçons Hinoki or Sugi. It's nice but the Iso E Super is too present to my nose and once I smell it, it spoils my enjoyment. Projection is a bit weak. It’s so woody and masculine I can’t wear it or stand it, but I know it’s well done. Creamy dreamy sandalwood. Doesn't change much which is okay by me. This really is stunning stuff. I love sandalwood and this is my perfect type. Very clean and natural smelling. More potent than the edt which was much needed as it was far too light. Not the sort of fragrance I would wear for anyone else benefit. This is for me and me only!! Only problem for me is that it really doesn't last that long on my skin!! But when something is this good you just have to grin and bear it!! Tam Dao Eau de Parfum is a pure sandalwood smell that is sparkling, creamy and very smooth. It effectively captures the idea of sandalwood aroma. The fragrance doesn't change much and therefore is not very deep but for those who love sandalwood this is a must try. The pure sandalwood oils that I have smelled are creamier and more background players than this perfume which is understandable. Sandalwood is a mainstay blending base ingredient but by itself often has some odd companion odors that aren't always desirable or relevant in a fragrance. Also pure sandalwood oil is very quiet and recessive. Tam Dao Parfum overcomes the deficiencies of pure sandalwood by complementing around the edges with lime, ginger, coriander, vanilla, possibly labdanum. I like the first impression of this version of Tam Dao, but ultimately I find it kind of boring and unchanging, so probably won't wear it much. The EDT of Tam Dao is more noticeably cedar and rosewood which although are not as sandalwood pure in aroma are more interesting to smell. I would stay with the EDT Tam Dao version for wearing enjoyment, but try the Parfum Tam Dao if you are wanting a more sandalwood specific experience. Absolutely marvelous. It smells refined and elegant. There is indeed a sandalwood shaving smell and not much else. To my nose, the sandalwood is a very tiny bit on the green side and ultra creamy. Fortunately, the creaminess is exactly what I was looking for in my search for a sandalwood fragrance. At first, I didn't think this lasted too long, but once after spraying before bed I was able to smell the fragrance after my shower the next morning. That's right, after my shower. I have the .33oz spray vial of the eau de parfum version and plan on snagging a full bottle if this one runs out. If you like sandalwood, this is a safe blind buy. There's no question that this deserves a thumbs up. 10/10 in all categories except projection which is on the low side. The genius here is pairing two very distinct and opposite notes in an unlikely marriage that is pleasing in its contrast...like Seal and Heidi. But, not worth the price it commands. I can replicate this quite easily. There are no member images of Tam Dao Eau de Parfum yet. Why not be the first? Hep!! 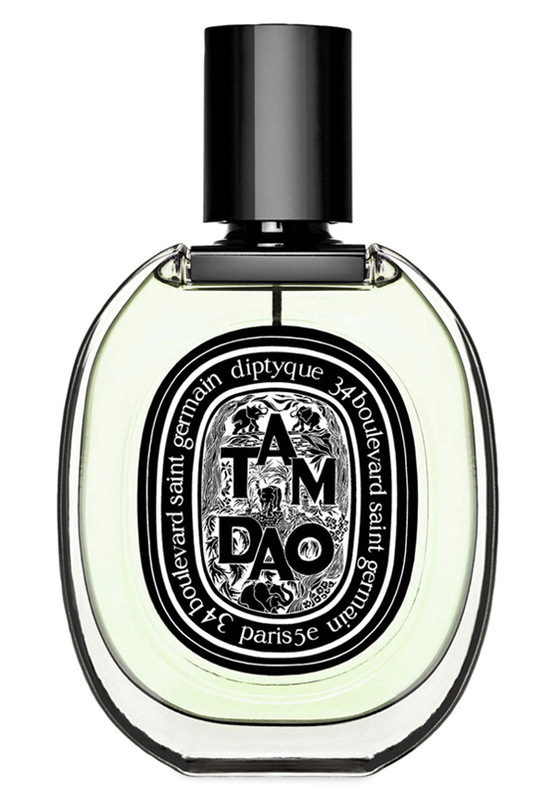 Diptyque Tam Dao or Tam Dao Eau de Parfum....What's Better?....What's The Difference?